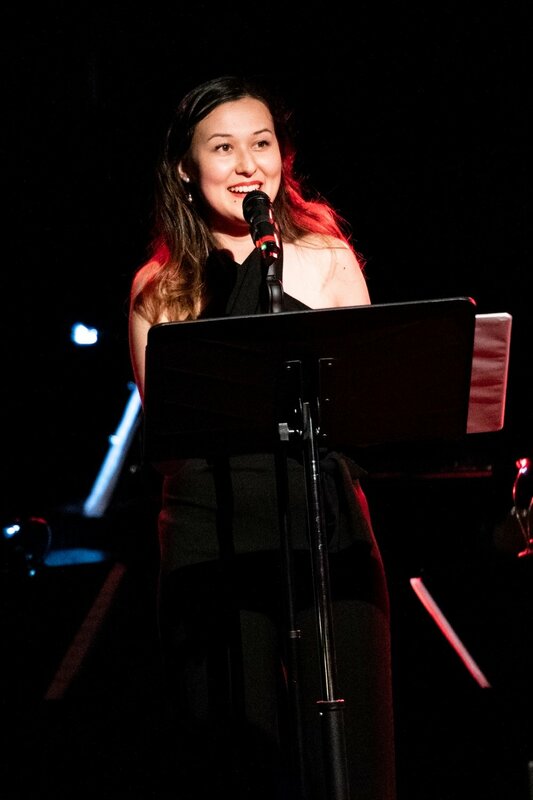 Emily Gardner Xu Hall winning the surprise Lilly Award for a Female Composer-Lyricist (“Go Write a Musical”) at the Minetta Lane Theatre, New York, 2018. Emily rehearsing Lady Barbara Castlemaine and Louise de Kerouaille in the US premiere of NELL GWYNN at Chicago Shakespeare Theater, directed by Christopher Luscombe. Chicago, 2018. 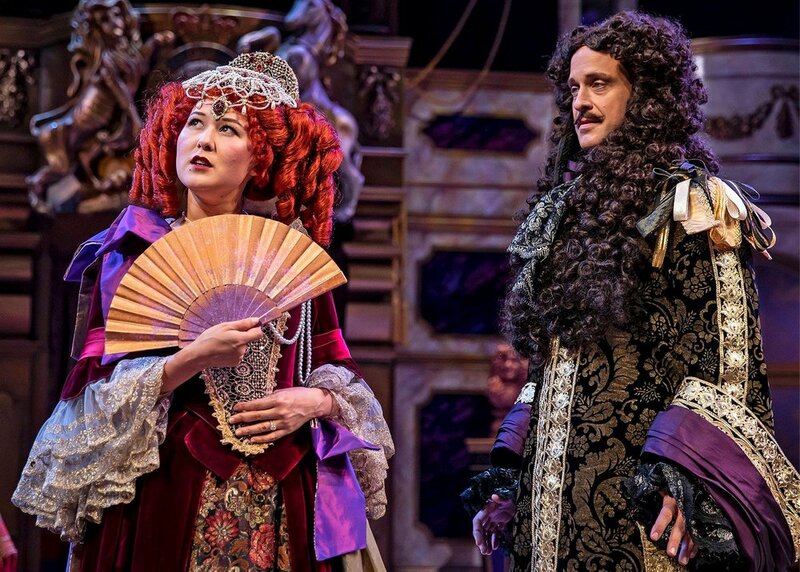 Emily as Lady Barbara Castlemaine in the US premiere of NELL GWYNN at Chicago Shakespeare Theater. With Timothy Edward Kane as King Charles II. Chicago, 2018. Emily wrote music and lyrics for a play with music with playwright Cusi Cram as a commission for Cornerstone Theatre Company. Emily is wearing a white shirt and pink trousers on the left. Queens College, Queens NY. Emily rehearsing the music for WICKEDEST WOMAN at WP Theater. New York, 2019. Emily Gardner Xu Hall introducing her song “Grisha’s Room” (music & lyrics) from UNTITLED CHERRY ORCHARD MUSICAL at NYMF’s Intersecting Chords concert. New York, 2018. Emily Gardner Xu Hall performing “Grisha’s Room” (music & lyrics) from Untitled Cherry Orchard Musical at NYMF’s Intersecting Chords concert. New York, 2018. 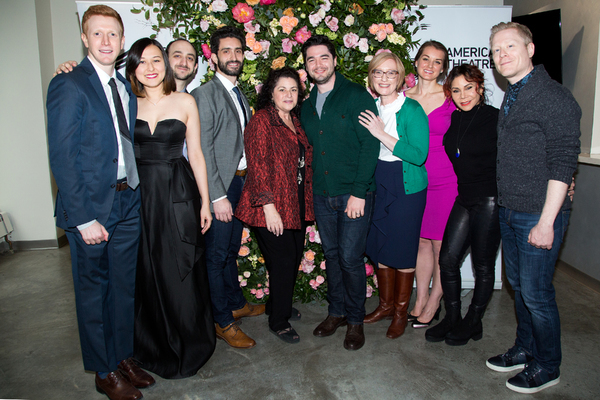 Emily with some of the cast and director of I AM THIS FOR YOU, a play with music (book/music/lyrics). The culmination of Rising Circle INKtank’s play development programme. Sheen Center, New York, 2018. Developing a play with music at Barn Arts residency. With Emma Zakes Green and Brian Bock. Bar Harbor, Maine, 2017. Emily singing "From Now On"
Emily Gardner Xu Hall playing “From Now On” from UNTITLED CHERRY ORCHARD MUSICAL (book/music/lyrics) in rehearsal. 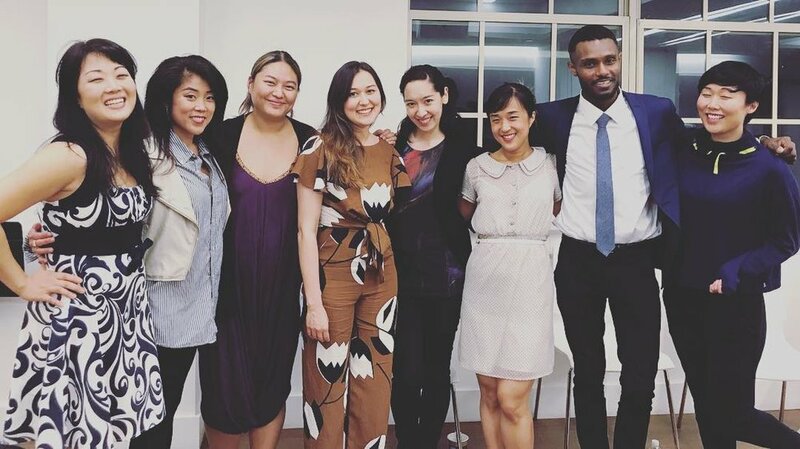 Emily with the cast of I AM THIS FOR YOU in the dressing room, a play with music (book/music/lyrics) that she performed in at Ars Nova ANT Fest. Ars Nova Theater, New York 2018. Emily recording a score for a webseries. Midtown, NY, 2016. Emily playing viola and singing as part of the cast of THE LIGHT PRINCESS at the Arden Theatre Company, which was nominated for 8 Barrymores and won 2. Philadelphia, 2017. Winners of the American Theatre Wing Jonathan Larson Grant: Emily Gardner Xu Hall, Ben Wexler, Julia Gytri and Avi Amon, and Andy Roninson. 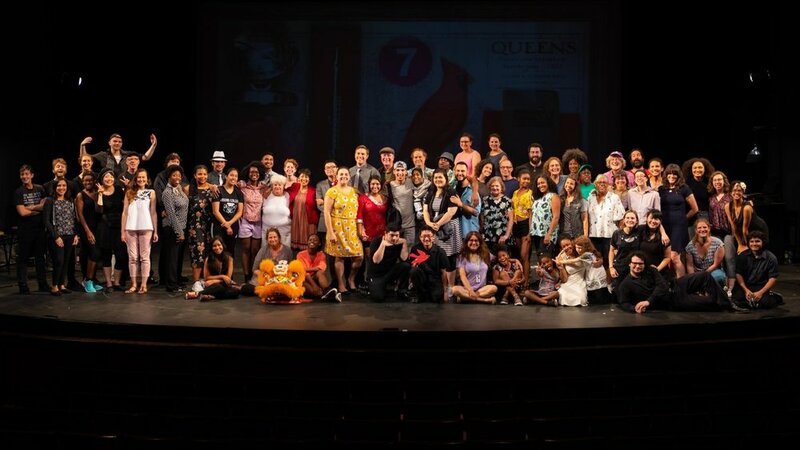 Pictured: The winners with the Larson family, the head of the American Theatre Wing, and members of the original cast of Jonathan Larson's RENT on Broadway. 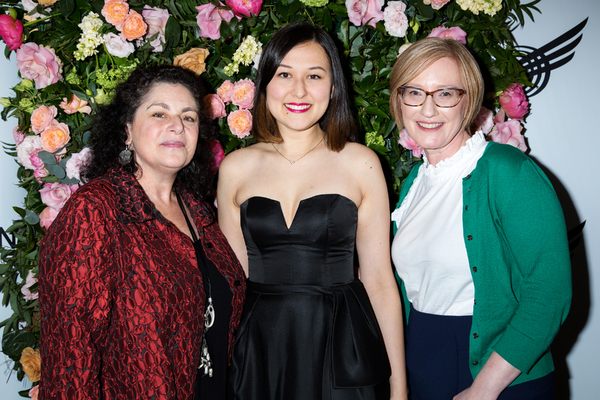 Emily with Julie Larson and Heather Hitchens, President & CEO of the American Theatre Wing. Emily won one of the four prestigious American Theatre Wing Jonathan Larson Grants for her music and lyrics.